There are several verses in the Bible which seem to teach that you need to make a public confession of Jesus in order to be saved. Many people interpret this to mean that if you do not let others know that you are a follower of Jesus, then you do not truly have eternal life and will therefore not spend eternity with God in heaven. There are numerous passages from Scripture which seem to teach this idea of making a public confession about following Jesus, but none of them actually teach what many people think. This article will briefly consider several of these verses, with an emphasis on Romans 10:9-10. The bottom line truth we will learn is that a public confession of Jesus is not required to receive (or prove that we have) eternal life. Not even Romans 10:9-10 teaches this idea. As discussed previously, the word “confess” simply means “to agree.” God teaches us many things in Scripture, and when we agree with what He has revealed, we are “confessing” or “agreeing” with the truth. So when Scripture tells us to confess that Jesus is Lord, it is telling us to agree that Jesus is Lord. Do you agree with what God has revealed in Scripture, that Jesus is Lord? That He is the Master, Ruler, Judge, and King of all things? 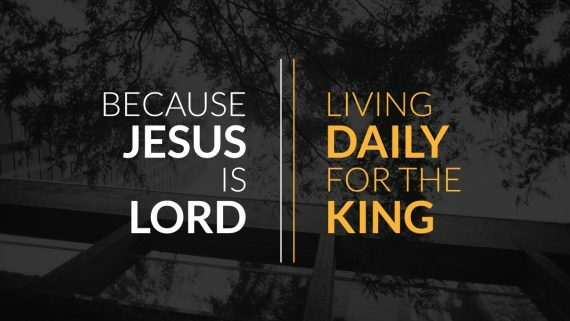 If you do, then you confess that Jesus is Lord, and are invited by Scripture to live in light of this truth. So is Confession Required for Eternal Life? But is this confession of Jesus as Lord required to receive eternal life? No, it is not. You do not need to confess that Jesus is Lord in order to receive eternal life. The consistent truth of Scripture (and Jesus Himself) is that we receive eternal life simply and only by believing in Jesus for it (John 3:16; 5:24; 6:47). You do not receive eternal life by submitting your life to the Lordship of Jesus, confessing your sins, walking an isle, saying a prayer, asking Jesus into your heart, or any of the other popular messages some Christians teach today. Jesus gives eternal life to those who believe in Him for it. Period. No action, effort, commitment, dedication, repentance, confession, or work is needed on your part. Submitting to the Lordship of Jesus is very important for sanctification and becoming more like Jesus in this life, but we do not need to submit to Jesus on confess Jesus in order to receive eternal life. Therefore whoever confesses Me before men, him I will also confess before My Father who is heaven (Matthew 10:32). Nothing this this text refers to receiving eternal life. Instead, Jesus is teaching a discipleship truth. He is saying that if you want to figure out what your life is all about (Matt 10:39), what your purpose is, and how you can live a life of significance, then you must first align yourself with Jesus and be proud of your connection with the family of God. You cannot follow Jesus wherever He leads in life if you don’t want to be associated with Him. When we are proud of our connection to Jesus, and let others know that we are part of God’s family, then Jesus will lead us where He wants us to go, and will also boast about us before God in heaven. This might be a bit like how God boasted about Job to the angelic host in Job 1:8. Of course, in that context, God is boasting about Job to Satan, whereas here, it is Jesus boasting about us to God, but the idea is similar. God is proud of His children when they are proud of being part of His family. Note that nothing is said about these people not actually being Christians or not being part of the family of God. Though Jesus does say in Matthew 10:33 that He will deny those who deny Him, this does not mean that they are denied eternal life and entrance into heaven. All it means is that they will not receive recognition and praise from Jesus when He boasts about His faithful brethren to His Father. Instead, He might actually express some disappointment. But He will never take away their eternal life, for that would be tantamount to denying Himself, which He cannot do. A similar idea is expressed in 2 Timothy 2:12. If we deny Him, He will also deny us (2 Timothy 2:12). The word confess is not mentioned in 2 Timothy 2:12, but the word deny is, which is the opposite of confess. The immediate context of 2 Timothy 2:12 mentions salvation (2 Timothy 2:10), and the following contexts refers to being approved and unapproved by Jesus (2 Timothy 2:15), all of which is connected to naming the name of Christ and turning from sin (2 Tim 2:19). So Paul is not referring to gaining or losing eternal life, but to submitting our lives to Jesus as Lord and Master so that we can deliverance from the destructive power of sin in our lives and gain honor and recognition from Jesus when we stand before Him at the Judgment Seat of Christ. Gaining eternal life and remaining within God’s family is solely by God’s grace alone through faith alone in Jesus Christ alone. However, having a position of honor and prominence within the family, having God be proud of us and what we have done with Him in His Kingdom is quite another matter. For God to be proud about us and to boast about us to others, we must be strong, endure hardship, suffer trouble, be diligent, shun idle arguments, depart from iniquity, flee youthful lusts, and pursue righteousness, faith, love, and peace (2 Tim 2:1-26). If we fail to do such things, and deny Jesus rather than confess and proclaim our alignment with Him, then He will deny us the ability to rule and reign with Him in His Kingdom, even though we will still remain part of the family of God. This is the exact same truth Paul teaches in Romans 10:9-10, which is the passage most often used to teach that confession of Jesus is required for eternal life. 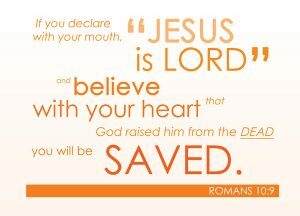 … that if you confess with your mouth the Lord Jesus and believe in your heart that God raised Him from the dead, you will be saved. For with the heart one believes unto righteousness, and with the mouth confession is made unto salvation (Romans 10:9-10). Many use Romans 10:9-10 to teach that if a person is going to truly be a Christian, they are required to make a public confession of faith in front of other people. How this occurs varies from teacher to teacher. Some say that it occurs at baptism, while others say that standing up in church to share a conversion story is what is needed. Most argue, however, that the only thing required is that a Christian never publicly deny that Jesus is their Lord and Master. When asked to take a stand for Jesus in the public arena, we are required to not be ashamed of the gospel (Romans 1:16), and instead be ready to give an answer for the hope that we have in Jesus Christ (1 Peter 3:15). According to many, the one who fails to take such a public stand for Jesus proves that he never really a Christian in the first place. But is this really what Paul is teaching? Is Paul saying that we need to make a public confession that Jesus is Lord in order to receive eternal life? No, this is not what Paul is saying. 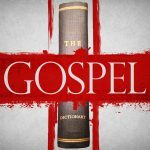 The reason this text is so widely misunderstood and misapplied is because few people understand that the words “saved” and “salvation” do not refer to receiving eternal life. People see the words “saved” and “salvation” in these verses and think that Paul is writing about how to receive eternal life. But he is not. The words “saved” and “salvation” in the Bible never refer specifically to receiving eternal life by faith in Jesus. Instead, the salvation word family refers to some sort of deliverance or rescue, and can include deliverance from premature death due to sickness or enemies, deliverance from running one’s relationships, or even to deliverance from shame at the Judgment Seat of Christ. When Scripture teaches about being saved from sin, it is not referring to escaping hell and going to heaven when we die, but to the deliverance from the devastating and destructive consequences of sin in this life. It is this last idea of “salvation” which Paul primarily has in mind when he writes about salvation in his letters, and especially in his letter to the Romans. Paul not only wants his readers to receive eternal life through faith in Jesus (Romans 4-5), he also wants his readers to experience the life of God in their day-to-day lives right now (Romans 6-8). Paul not only wants his readers to be justified (Romans 4-5), he also wants them to be sanctified (Romans 6-8). He not only wants them to be declared righteous in the sight of God (Romans 4-5), but also to live righteously in the sight of men (Romans 6-8). So when Paul writes about salvation, it is this day-to-day journey into discipleship and sanctification that Paul has in mind. “Salvation” in Romans is NOT about gaining forgiveness of sins so we can escape hell and go to heaven when we die. It is about following Jesus in the path of discipleship so that we can avoid the destructive and devastating consequences of sin in this life. We see this quite clearly right here in Romans 10:9-10. The word Paul uses for righteousness in verse 10 is the same exact Greek word he uses elsewhere for justification (see Justification). And how is a person justified? According to Paul, a person is justified when they believe in Jesus (cf. Romans 4:4-5). This belief takes place in their heart, that is, in their inner being. It is not something that necessarily has any outward sign, activity, or manifestation. When we believe in Jesus, He gives us eternal life (John 3:16; 5:24; 6:47). We are justified, or declared righteous by God. But being declared righteous by God is not the same thing as the daily experience of freedom from sin. Deliverance from the penalty of sin is not the same thing as deliverance from the power of sin in our lives. All Christians know that even after they become a Christian, they continue to struggle with disobedience and rebellion against God. Paul knows this very well (cf. Romans 7), and so a constant theme in his letters is to teach Christians how to experience the freedom for which they have been set free (cf. Gal 5:1). Though justification truths are central to Paul’s thinking and teaching, sanctification truths are more constant. 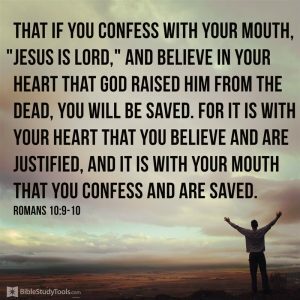 So here in Romans 10:9-10, one key to gaining deliverance from the addictive and destructive power of sin in our lives is by publicly confessing our allegiance to Jesus. We are justified by faith alone, but one key to experiencing salvation, that is, deliverance from the power of sin in our lives, is by boldly proclaiming with our mouth that Jesus is our Lord and Master. As long as we hide the fact that we are aligned with Jesus, it will be easier for sin to continue to have mastery over us. But when we let friends, family, and co-workers know that we follow Jesus and obey His instructions, it will be easier for us to stand up for what is right and do what He commands. In this way, we will begin to experience salvation; we will begin to find deliverance from the devastating and destructive consequences of sin in our lives. So is public confession with the mouth important? Yes, of course! 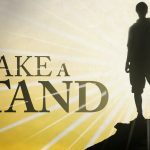 Taking a public stand for Jesus is essential for finding freedom from the power of sin in our lives. But this public stance is not required to receive eternal life. God declares us righteous when we believe in Jesus. We believe in Jesus for eternal life, and we confess Jesus with our mouth to experience deliverance from sin. How will this public stance look? Well, it will be different from person to person and from place to place. Baptism might be part of it, as well as possibly sharing a testimony in the church. But taking a public stand for Jesus is not a one-time event. It is an ongoing way of life that requires daily commitment and discipline. 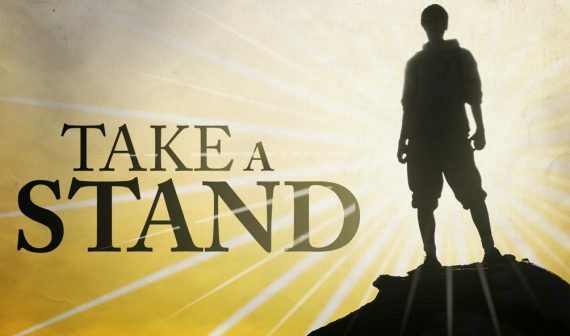 Taking a public stand for Jesus is part of every conversation, interaction, and decision with friends, family, coworkers, and even in our personal life. Paul’s message in Romans 10:9-10 is that while being justified by faith alone is wonderful, it is not enough to deliver us from the power of sin in our lives here and now. The first step toward this salvation from sin is to publicly confess and agree that we belong to God, that Jesus is our Master, and that we will follow Him and do what He says. 5. Those who believe call on the name of the Lord. Do you see? A person cannot call on the name of the Lord until they have first believed. In other words, the “calling” or “confessing” that Paul has in mind is a discipleship activity. It is for believers who are already justified. This calling and confession helps “save” believers from the destructive power of sin in our lives. One does not gain eternal life by calling on the name of the Lord or by making a public confession that Jesus is Lord. We receive eternal life by believing in Jesus for it. But having believed, we can gain victory over sin in our life (salvation) by confessing Jesus, calling on His name, and taking a public stand for Him. If we fail to do this, it does not mean we don’t have eternal life; it just means we will not experience victory over sin in our life. So Do You Need to Confess that Jesus is Lord? Well, it depends … what are you trying to do? If you want to gain eternal life from God, then no, you do not need to confess that Jesus is Lord. Simply believe that Jesus has given eternal life to you. That’s it. Eternal life is a free gift received by faith alone in Jesus Christ alone. But if you want to break free from the besetting, addicting, and destructive power of sin in your life, then yes, confession that Jesus is Lord and submission to Him in your life will be necessary. Only when we commit to following Jesus and take a stand for Him will we gain “salvation” from the power of sin in our lives here and now. Does this make sense? I hope so! Leave any comments or questions you might have in the comment section below. i dunno, he knows your heart. when it was illegal to skip church is another story. Great Post. Best explanation I have read yet of passages that supposedly speak of avoiding Hell and going to Heaven. Salvation being delivered not from Hell but the consequences of sin makes so much more sense of a loving God. Thanks Jeremy for bringing a clear presentation of Romans 10:9-10. Podcast has been a blessing. It’s a discipleship issue (Sanctifcation)!